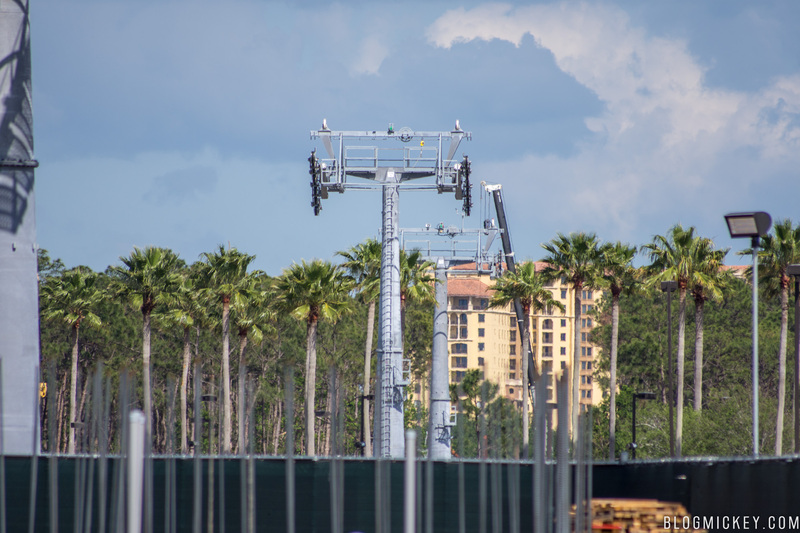 We saw the first Disney Skyliner gondola tower installed late last month. 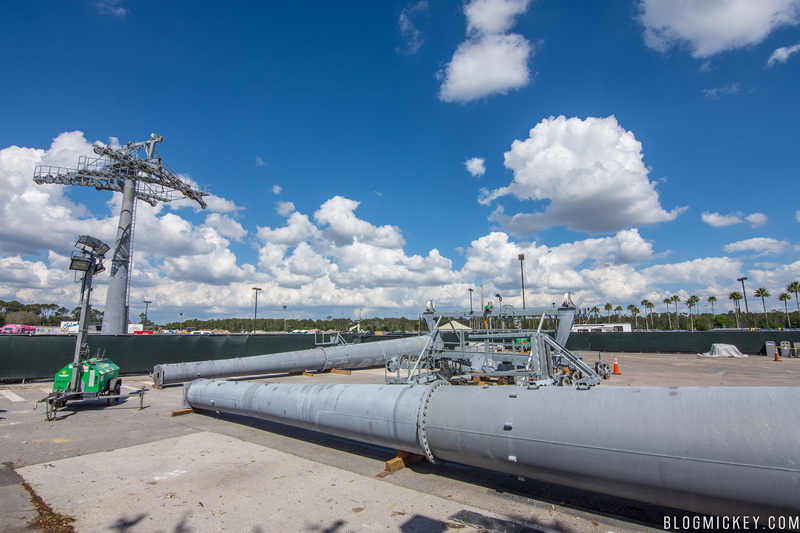 We made it back to Disney’s Hollywood Studios recently to find that two more towers have been installed. 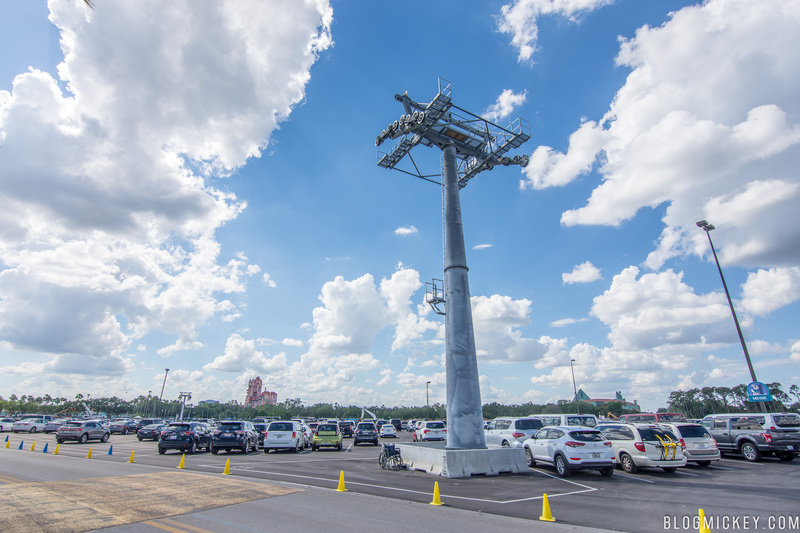 The first new installation we spotted is located in the Film parking lot. 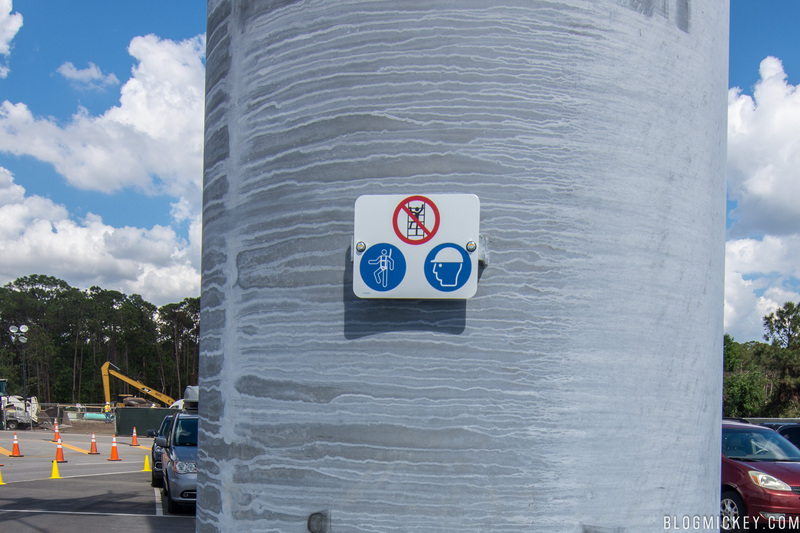 A sign on the tower makes it clear that you shouldn’t climb it. 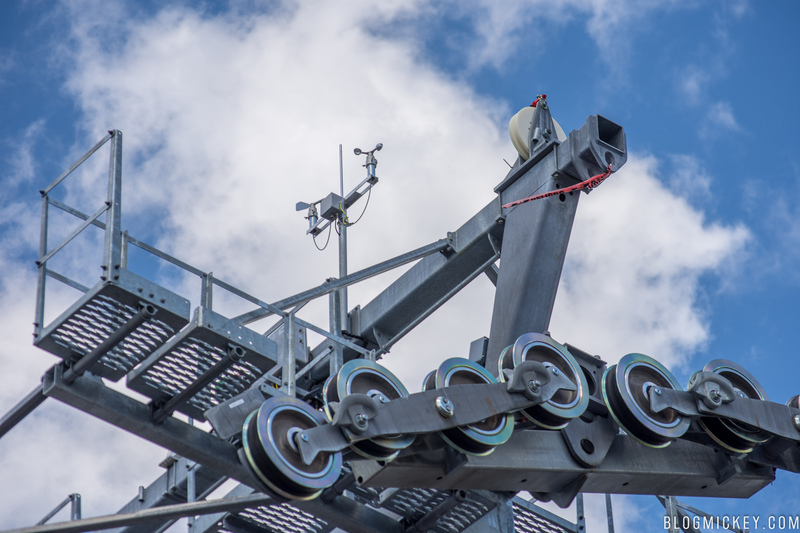 A closer look reveals a three cup Anemometer, used to measure the current wind speed. 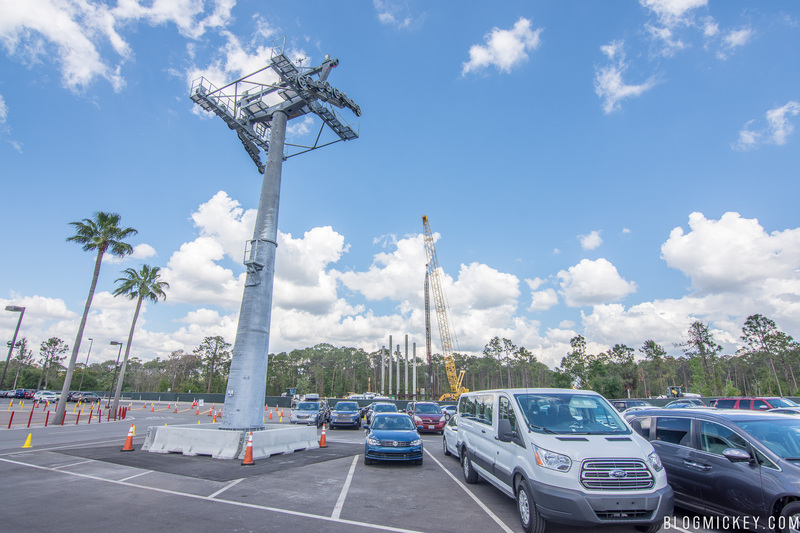 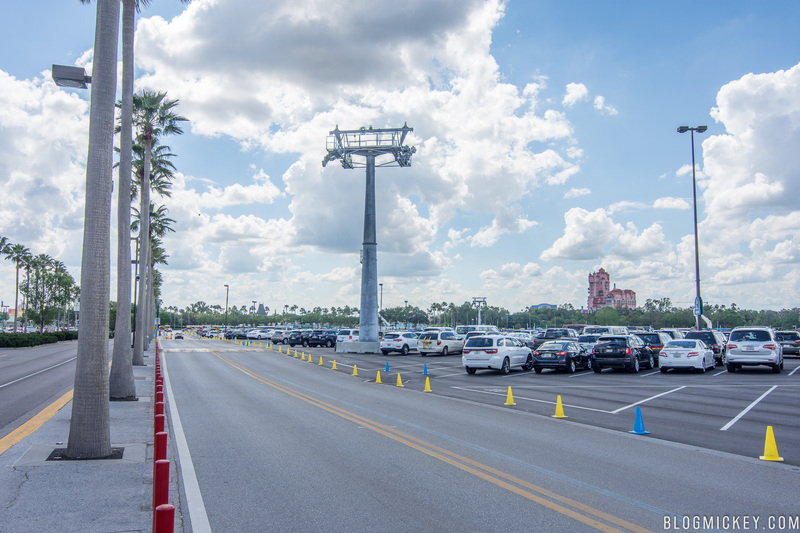 As we made our way into the park, we spotted a second tower installed in the Music parking lot. 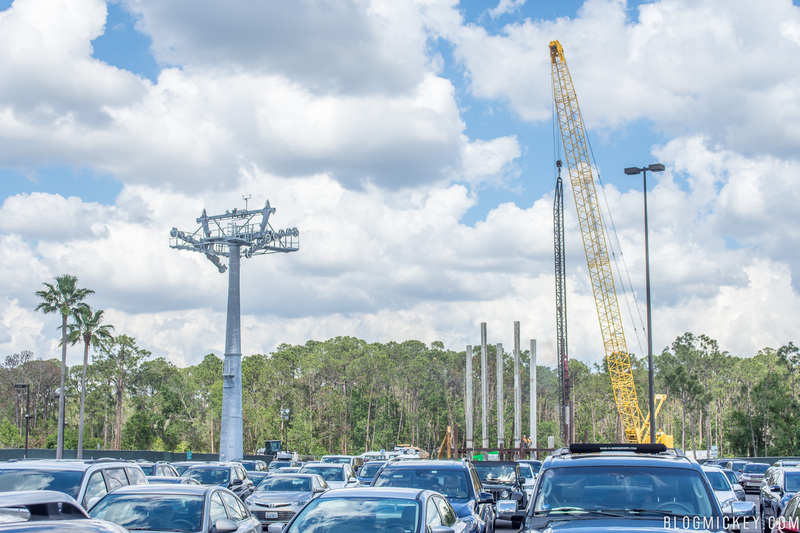 Closer to the station under construction, we can see the tower that was installed first as well as two more towers ready for installation. 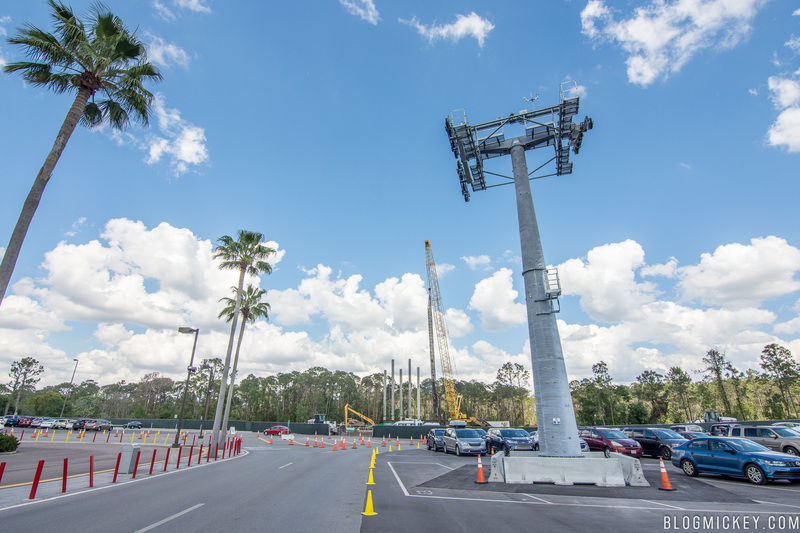 Here’s a look at the installed towers, lined up. 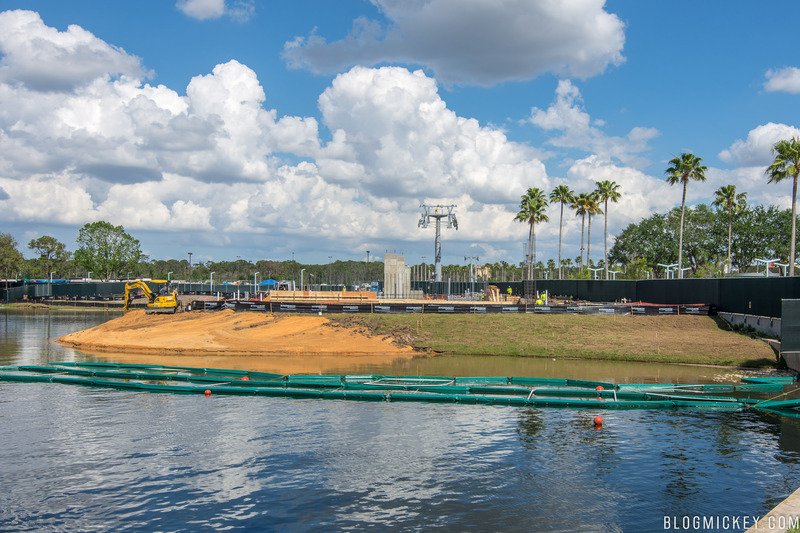 In the distance, you can see the Wyndham Bonnet Creek resort. 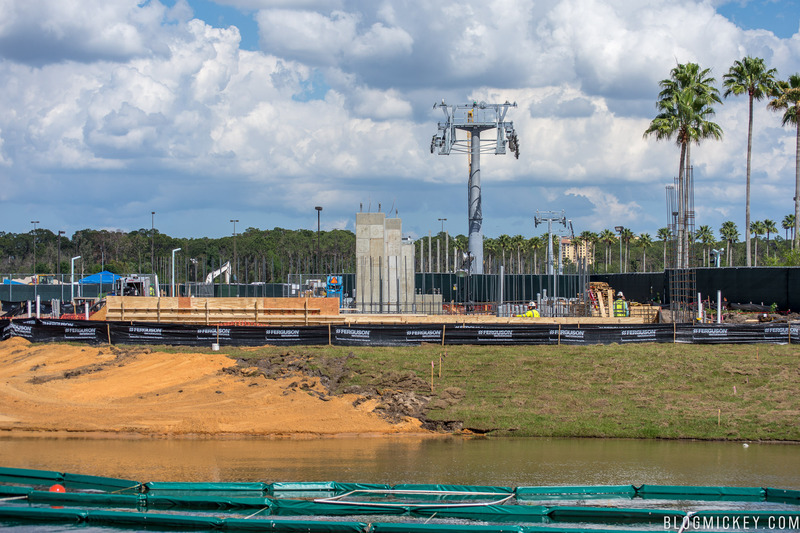 This resort is actually located just East of Disney’s Caribbean Beach Resort, but will not be part of the Disney Skyliner gondola system. 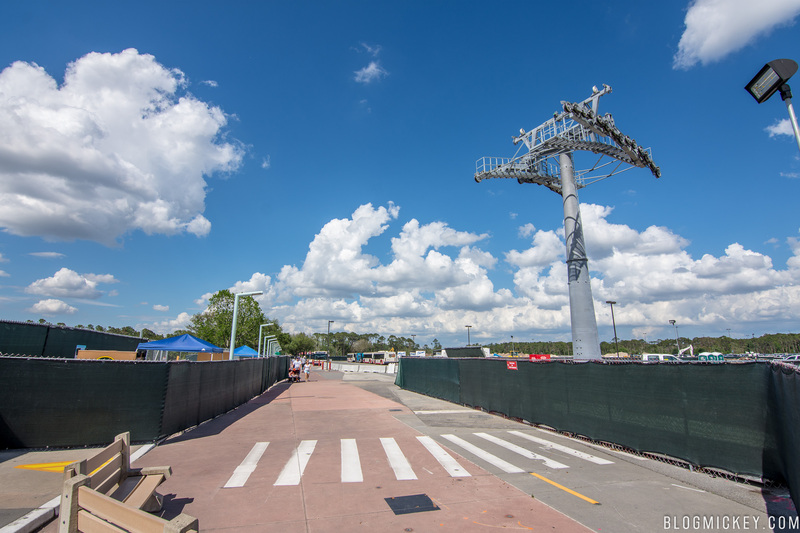 Finally, here’s a look at the Disney Skyliner station construction at Disney’s Hollywood Studios. 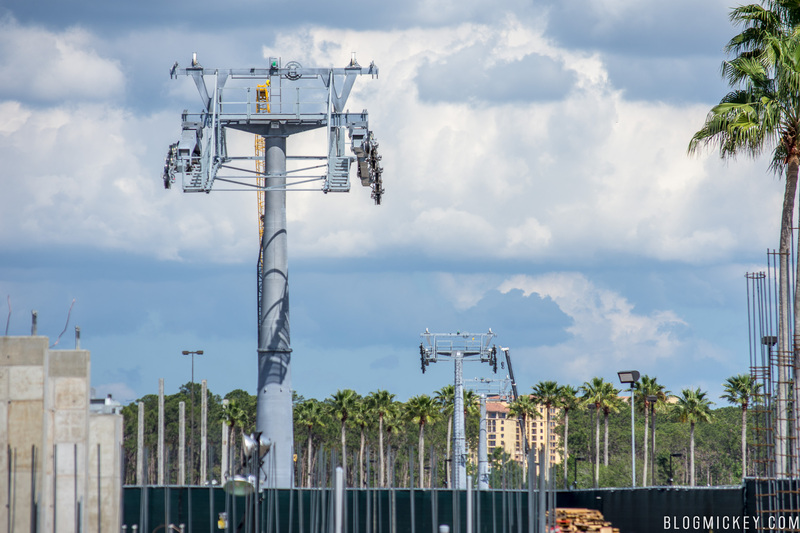 The Disney Skyliner gondola system is expected to be operational by mid-2019.